Indonesia’s influence in the Pacific Islands is growing, but is shadowed by disquiet over its region of Papua, known widely as West Papua. Considering Papua’s political status as non-negotiable, Indonesia has been busy strengthening ties with a number of countries in the three Pacific Islands regions of Melanesia, Polynesia and Micronesia. Amid a flurry of diplomatic activity in recent months, Indonesian cabinet minister Wiranto attended independence anniversary celebrations on Nauru, and the president of the Federated States of Micronesia was given red carpet treatment in Jakarta. Jakarta says this is about working together with Pacific island countries on mutual interests. Others say it’s principally about quelling support for West Papuan independence aims. Some regional observers even suspect the hand of Jakarta was at play behind the change in the Solomon Islands government’s policy on West Papua since Rick Hou replaced Manasseh Sogavare as prime minister last December. 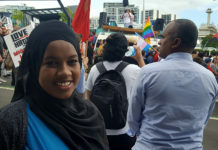 April’s visit by a Solomon Islands delegation to Indonesia’s Papua and West Papua provinces caused an upset among some elements of civil society in Honiara, but showed how extensive Jakarta’s diplomatic outreach has become. The secretary of the United Liberation Movement for West Papua, Rex Rumakiek, said Australia’s angst about the rising influence of China in the Pacific missed a more serious regional threat. “The Melanesian countries are not very much concerned about Chinese influence. They are concerned mostly about the Indonesians’ influence in Melanesia, because they’re very destructive, they go right down to village level. “They bribe people and buy political parties to change the government and so on. It’s already happening. 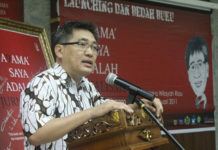 It’s much more serious than the Chinese influence,” Rumakiek said. 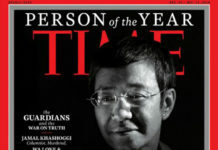 A spokesperson from Indonesia’s Embassy in Canberra, Sade Bimantara, said Rumakiek’s accusation was unsubstantiated and false. He said Indonesia had consistently engaged and worked with Pacific Island nations for many years while respecting each other’s domestic affairs and sovereignty. Joku, a West Papuan who frequently represents Indonesia at meetings of the Melanesian Spearhead Group and the Pacific Islands Forum, said the country wanted to help small island countries with their development needs. He cited Indonesian assistance in plans to build a convention centre in Tuvalu and a sports stadium in Kiribati as examples. Indonesia is also offering help to Pacific Island countries with efforts to protect their all-important marine environment, although it is not the only larger country doing so. Foreign governments sometimes take up the issue of human rights abuses in West Papua in their representations to Indonesia’s government. But few human rights defenders would have been satisfed with wan assurances by Dutch Foreign Affairs minister Stef Blok that he discussed a recent damning Amnesty International report on the issue when in Jakarta last month. A former Vanuatu prime minister and leader of the Vanua’aku Pati, Joe Natuman, said the move by some members of the Melanesian Spearhead Group to accept Indonesia into the regional organisation was problematic. But Franz Albert Joku said it was not the responsibility of the MSG or Pacific Islands Forum to speak for Papuans. He said Papuans should be allowed to speak for themselves “by dealing with our own leaders in Jakarta and our own government. 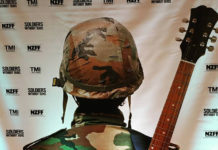 However, the United Liberation Movement for West Papua (ULMWP), which has observer status at the MSG, argues that West Papuans are not free to express themselves and their political aspirations in their homeland. Jakarta also remains sensitive to regional calls for West Papua’s political status, and the controversial process by which the former Dutch New Guinea, was incorporated into Indonesia in the 1960s, to be reviewed. Last month while in Fiji, Papua New Guinea’s Prime Minister Peter O’Neill was reported to have encouraged regional countries to take the issue of West Papua to the United Nations Decolonisation Committee. 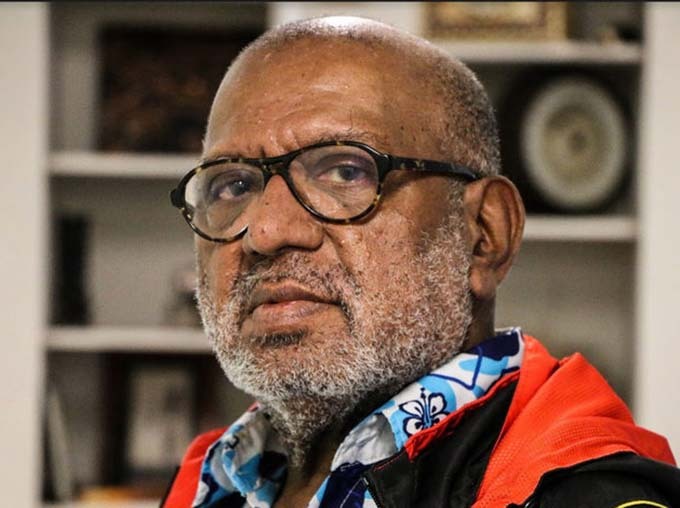 Following this, PNG’s Foreign Minister Rimbink Pato made a visit to Jakarta for talks with his Indonesian counterpart Retno Marsudi, reaffirming his country’s support for the status quo in the Papuan provinces. Natuman said he understood the sensitivity of the matter for PNG as West Papua’s neighbour. Wall’s voice is still only part of a minority in New Zealand’s government whose formal position remains in support of Indonesian control of Papua. 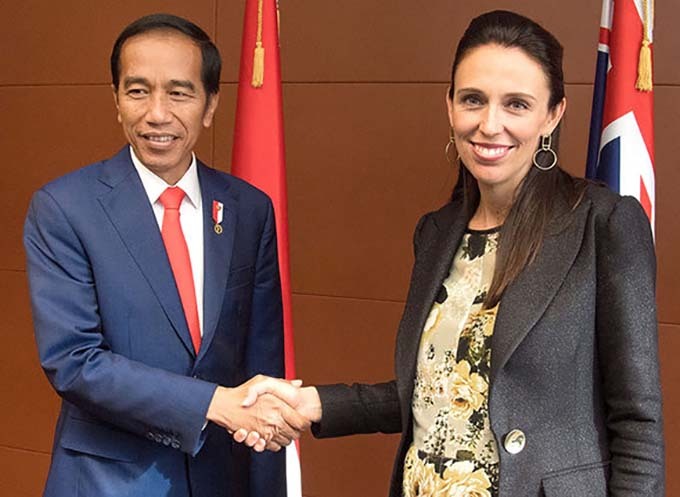 New Zealand’s Prime Minister, Jacinda Ardern, reiterated this support to Indonesia’s president Joko Widodo during his state visit to Wellington earlier this year. The issue of human rights abuses in Papua is a standing item on the agenda of the Pacific Islands Forum (PIF), whose leaders meet in Nauru next month. Yesterday, the outgoing Forum chairman, Samoa’s Prime Minister Tuilaepa Sailele Malielegaoi, suggested some Pacific leaders sensationalised the alleged abuses by Indonesian military in Papua. Speaking on national Radio 2AP, Tuilaepa, who has forged closer ties with Indonesia in the past year, conceded that various West Papuans wanted independence and sought to stop infringements of their human rights. 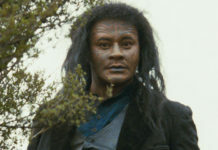 Tuilaepa said that where it concerned human rights issues, they should take up the matter through the United Nations Human Rights Commission.